10,000 Books Donated To RC Students To Kick-off “Read Across America Day” March 3! Smokey Barn News Tuesday February 25, 2014 Springfield, Tenn.
What would you do with 10,000 books? Did you know that the United Way provides reading stimulus for county students? 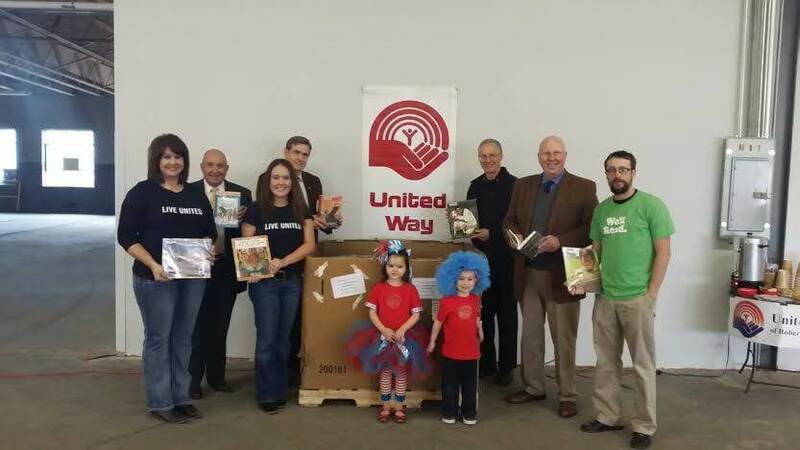 The Robertson County United Way has supplied 10,000 books to Robertson County Schools as a result of their partnership with Ride for Reading, a Nashville based group of cyclists dedicated to literacy. 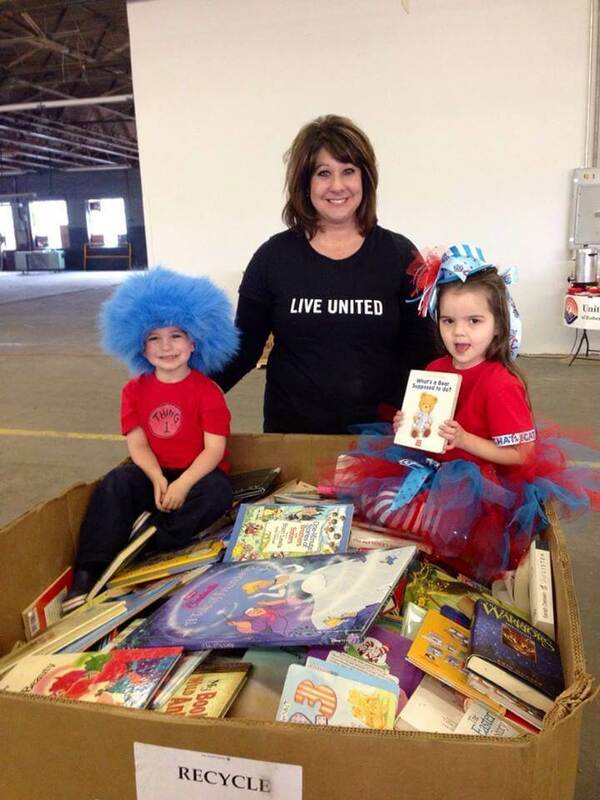 Brittany West, Director of Marketing and Fundraising for United Way, said the project began when she and UW Director, Michelle Powell were invited to read to Westside Elementary students for the national Read Across America Week. West contacted Matthew Portel, the director of Ride for Reading, and asked about the possibility of a donation of around 50 books. Instead, Portel, through another literacy partnership, was able to supply the 10,000 books for all Pre-K through grade 5 students in county schools. The books are currently being distributed and a number of them will be read aloud to students during the Read Across America Week schedules that many schools have planned. All of the books will be distributed to students and school libraries. From left to right: Michelle Eden Powell “Executive Director of United Way of Robertson County,” Sheriif Bill Holt “Robertson County Sheriff’s Office,” Brittany Cheryl West “Director of Marketing & Fundraising of United Way of Robertson County,” Mr. Mike Davis “Director of Robertson County Schools,”Chief David Thompson “Springfield Police Department,” Mayor Howard Bradley “Mayor of Robertson County, TN,” Mathew Portel “Founder/Director of Ride for Reading — at United Way of Robertson County. From left to right: Blaine West, Michelle Powell “Executive Director of United Way of Robertson County,” Mathew Portel “Founder/Director of Ride for Reading,” Brittany West “Director of Marketing & Fundraising of United Way of Robertson County,” Grayson Powell, & Graham Gerdeman “Vice-Chair of the Board of Directors of Ride for Reading — with Barry West, Michelle Eden Powell, Mathew Portell, Brittany Cheryl West and Melissa Mantlow Powell at United Way of Robertson County.